This was a really exciting project. 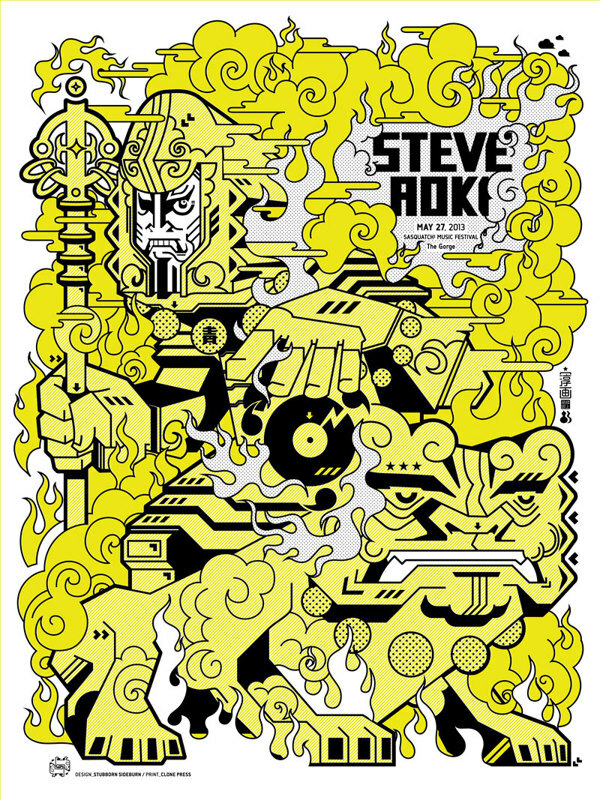 I did a poster design/illustration for Steve Aoki’s concert at Sasquatch Music Festival. I came up with a Japanese influenced, almost a modern twist, on Ukiyo-e, wood block print because of his Japanese heritage and an aggressive image to capture his music. Some of the geometric shape also matches his electro sound feel. The poster was a screen printed edition of 50. I used black and metallic gold ink.